First, they bought a home in Little River, Digby County. They vacationed there and did repairs and renovations every summer until it was suitable to live. However, just before they were ready to leave England, Liz discovered a degree-granting program in Chinese Medicine at Glyndwr University in Wales. At first, Liz had her business on wheels and felt like a little nomad going to people’s homes. Eventually she rented a small office. 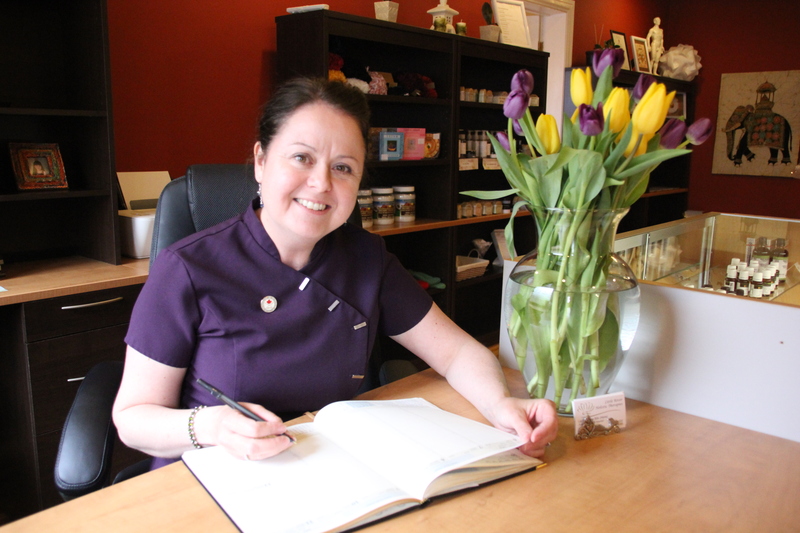 This past November, the entrepreneur opened a clinic with multiples services called Little River Holistic Therapies in Digby. The roster includes Acupucture and Chinese Medicine, Aromatherapy, Massage, Reflexology, Reiki, Counselling, Hypnotherapy and Psychotherapy. She’s thrilled with the service from CBDC which provided everything from business counselling and courses, to assistance with setting up a website, purchasing equipment and a building. It’s been hard work yet hugely rewarding. And there’s been lots of humour along the way. For example, Liz recalls being asked to give a talk to seniors. She agreed, and offered a free treatment as part of a fundraising draw. Her only request was that the winner would be willing to be part of a small demonstration—assuming the winner would be a senior needing a foot massage or acupuncture for knee pain. “The winner of the prize was a big burley lobster fisherman with a big personality to match. Typical of most lobstermen, he had serious back issues. Without hesitating he whipped of his shirt saying, So then, where do you want me?” She was sure the seniors would have multiple coronaries from shock or laughter.